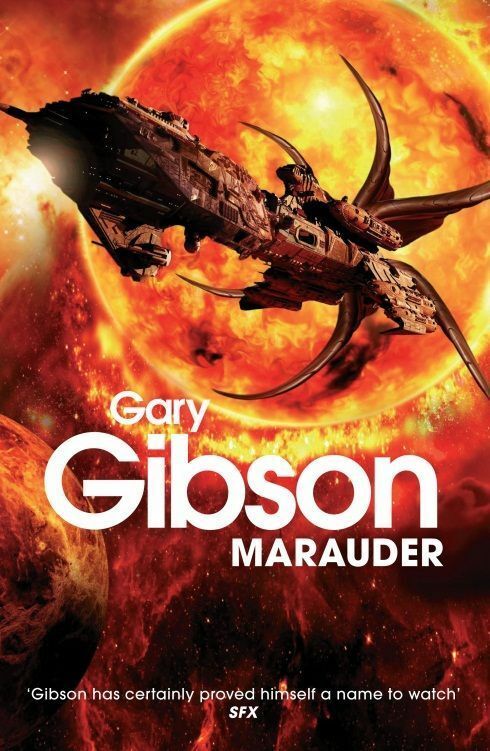 Gary Gibson has done an official reveal for his forthcoming novel, Marauder. The stunning cover caught my eye quite a while back, but I wanted to wait till an actual reveal was done before posting it here. Megan has a mission. But must she sacrifice herself to save a world? Pilot Megan Jacinth has three goals, and they all seem unattainable. She must find her friend Bash, who she’d left for dead to save her own life. Then she needs Bash’s unique skill-set to locate an ancient space-faring entity. Lastly she must use this Wanderer’s knowledge to save human-occupied worlds from an alien incursion. The odds seem impossible, but the threat is terrifyingly real. Megan finds Bash, but the person she’d known and loved is a husk of his former self. 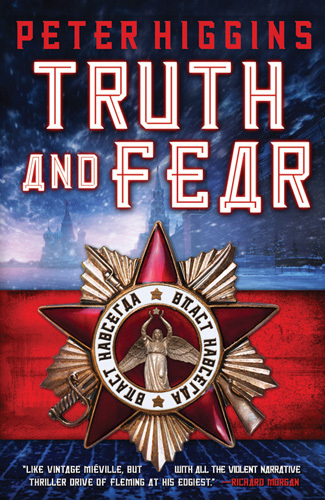 Bash is also held captive by her greatest enemy: Gregor Tarrant. Tarrant wants the Wanderer too, even more than he wants her life, with motives less pure than her own. And he’s close to finding Megan’s most closely-guarded secret. 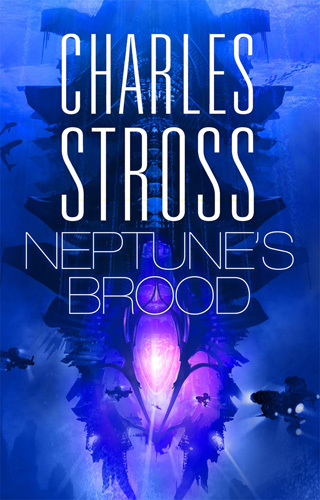 Although it is set in the same universe as the Shoal trilogy (consisting of Stealing Light, Nova War and Empire of Light) it seems that this is a stand-alone novel that can be enjoyed on its own. 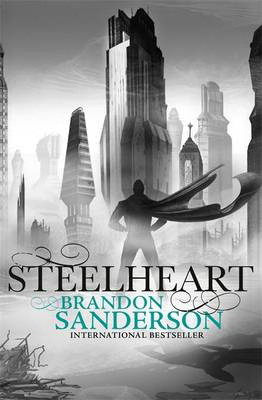 Gollancz has unveiled the cover for Steelheart by Brandon Sanderson which will be released on 26 September 2013. Steelheart is a gripping tale of revenge and justice set in a terrifying world where the Epics, a small cabal gifted with superpowers, are ruling us. Democracy is little more than a memory, society teeters on the brink, we are little more than serfs to modern-day feudal barons. But there is one group, the Reckoners, who are fighting back from the ruins, taking on the Epics. But do the Reckoners have any space in their ranks for a young man bent on a personal quest: to kill the Epic who killed his father? 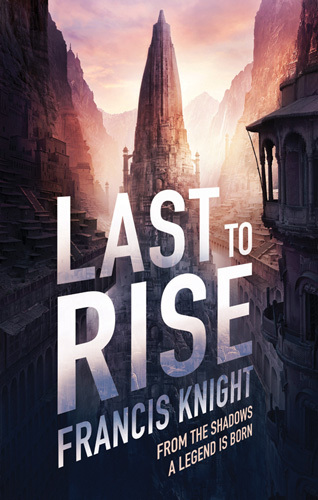 The premise sounds interesting and being a Brandon Sanderson book this one seems worthy of being added to any wishlist. Pre-order your copy from The Book Depository. The full book trailer for The Shining Girls by Lauren Beukes has been released and it's super creepy. I can't wait for my copy to arrive in April. 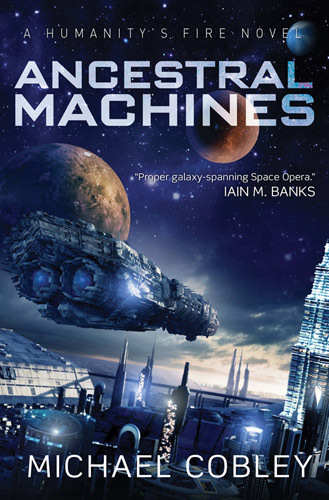 Not only does Neal Asher write some of the best high-octane science fiction, he is also one of the most approachable science fiction authors I've come across. He regularly interacts with his readers on Twitter and via his blog, The Skinner, and on a semi-regular basis he uploads Youtube videos where he attempts to answer questions from his fans. This particular video contains quite a few questions from yours truly. The bookmarks he mentions can be found here and here. I designed layout of the bookmarks, but the artwork used is the stunning book cover art by Jon Sullivan. I can't draw to save my life! Keep on waffling on Mr. Asher, we love it when you do! This brilliantly crafted narrative - part Neil Gaiman, part Guillermo Del Torro, part William Burroughs - follows the boys from their star-crossed adolescences to their haunted adulthoods. Cargill's tour-de-force takes us inside the Limestone Kingdom, a parallel universe where whisky swilling genies and foul mouthed wizards argue over the state of the metaphysical realm. 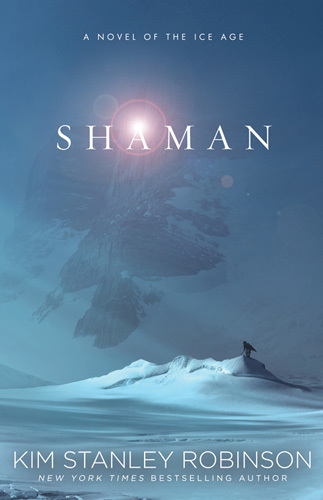 Having left the spirit world and returned to the human world, Ewan and Colby discover that the creatures from this previous life have not forgotten them, and that fate can never be sidestepped. Dreams and Shadows by C. Robert Cargill is an engaging story that will captivate you, terrify you and by the end tear your heart to shreds. It’s a story about what happens when two boys encounter the fairy realm that coexists with our own. One boy, Ewan, is torn away from a loving family after he is kidnapped and replaced by an unspeakable doppelganger, the other, Colby, goes willingly after he encounters a djinn and wishes to see everything supernatural – a wish that would have far-reaching consequences. Once the veil has been drawn aside you can’t ever go back to who you were before. The story unfolds in two parts. The first part focuses on the two boys and their first encounters with the supernatural. In the second part the boys are both young adults living their lives as best as they can, but their past soon catches up with them. They soon learn that you might be able to postpone your fate, but you can’t outrun it entirely. Through circumstances beyond their control they are pulled back into the world of the fairy and forced to make one final stand. The writing is superbly done although it does take some time to really pull you in. This might be due to the fact that, especially in the first half of the novel, the narrative is interspersed by chapters containing excerpts from a book explaining the denizens of the fairy world. While these provide much needed background information, I found them somewhat jarring and felt that it slowed the flow of the story. Once the groundwork is laid these excerpts are far less frequent and you can immerse yourself more completely in the story. The cast of characters were all interesting and engaging, each with their own role to play although some of those roles only become completely apparent towards the end. While I empathised with Ewan as a character I was far more drawn to Colby. I can’t exactly put my finger on why, but I think it must have something to do with how he stoically accepts the consequences of the wish he made and how he doesn’t hesitate to do the right thing – even if it’s only due to boyish bravado at the start. While Knocks, the changeling, is a despicable character you can’t help to feel sorry for him. Rejected from all sides he is a tragic figure driven to horrible actions by both his nature and his circumstances. The ending veered off from the direction I expected it to go and just kept twisting and turning until I didn't know how things would turn out. While it wasn’t the ending I expected or hoped for it was far more fitting. It ends with the truth, as the world really is, not how we want it to be. This is one of those novels you can't adequately describe without ruining it. You have to read and experience Dreams and Shadows for yourself to see how all the threads come together in the end. It's a journey you won't soon forget. 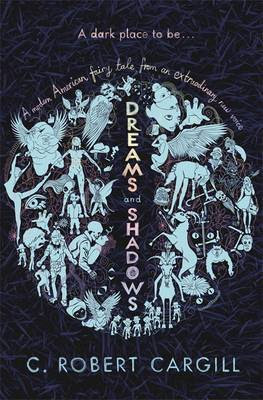 Dreams and Shadows is an enchanting, entertaining and utterly heartbreaking read. Cargill manages to craft an exceptional story that turns fairy tales and our notion of faeries completely on its head. I can’t wait to see what he comes up with in the next instalment. I'm definitely hooked. If you are looking for an urban fantasy with a twist, look no further. Just don’t expect any happy endings. Stephenie Meyer's novel The Host - one of the most unusual love stories ever written - has enthralled millions of readers around the world. Now acclaimed director Andrew Niccol brings it to the silver screen with a star-studded cast, stunning visuals, and breathtaking special effects. This definitive companion book takes fans behind the scenes with extensive full-color photographs and exclusive interviews with the cast, crew, director, and producers, including Stephenie Meyer herself. Offering an intimate look at the filmmaking process, New York Times bestselling author Mark Cotta Vaz tells the inside stories behind the exotic locations, massive sets, and spectacular stunts, and shows how cast and crew come together to bring Meyer's extraordinary vision to life. The Host: The Official Illustrated Movie Companion by Mark Cotta Vaz is a visual feast brimful gorgeous full-colour photos. The text gives an intimate, detailed behind the scenes look at the entire process involved in bringing Stephanie Meyer’s novel to the big screen. You are taken through all the elements of movie production – the casting, location scouting, set design, finding the right visual look, choosing the right wardrobe and makeup, and finally the actual filming itself. The text is interspersed by quotes from the cast, director and crew giving a unique insight into their thoughts and experiences on set. I particularly liked the fact that Vaz doesn’t just focus on the director and actors, but also tells the story of the unsung heroes, the people you never get to see on-screen but who play a crucial role in how the film turns out: the makeup artists, gaffer, location scouts, stuntmen, camera operators and all the rest of the people in the credits you never pay any attention to. Since this is a movie companion the photographs really play an essential role in giving you a better visual understanding of what the text is talking about. 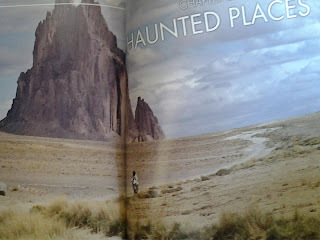 At each page turn I often found myself battling to decide where to focus first - on the photos or the text? 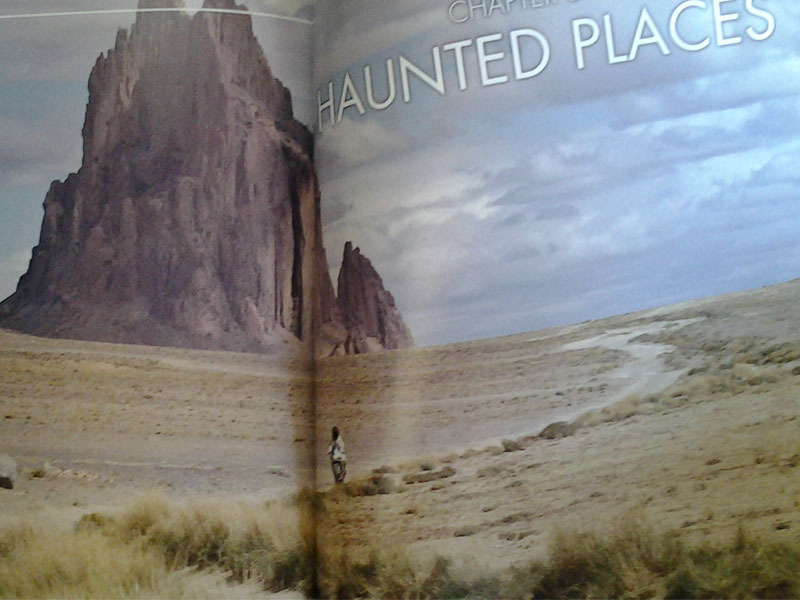 There really are some stunning photos included in the book and if they are any indication the movie will be an experience not to be missed. 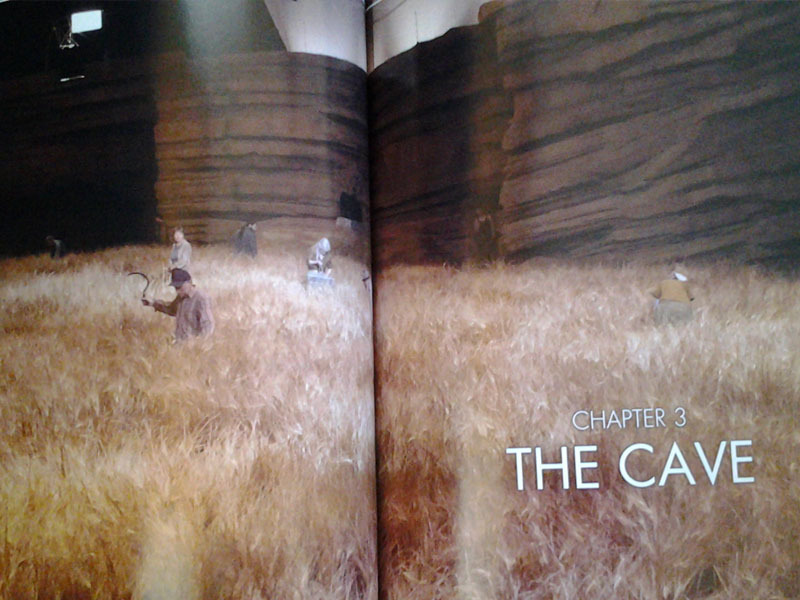 If you simply can’t wait for the movie to be released later this month then The Host: The Official Illustrated Movie Companion is definitely the book for you. It not only gives you a sneak peak at what the movie will look like, but also instils a greater understanding and appreciation for the whole movie-making process. When you finally get to see The Host you’ll be seeing it through different, wiser eyes. And the best thing is that you’ll have a trove of interesting titbits to share when your friends start to moan about the differences between the novel and the film. 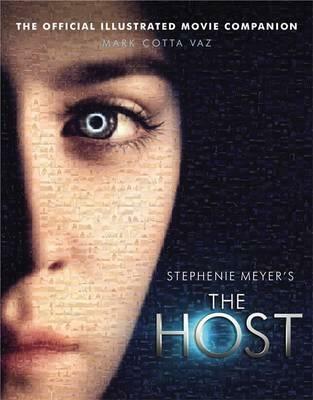 If you aren’t excited to see The Host then this book will definitely change your mind. Thanks to Jean from Penguin Books South Africa for providing the review copy. I guess I'll have to start this post with a bit of an explanation. I'm not a writer and I've never aspired to be one so the short story below took me completely by surprise. I got up one morning and this concept was just stuck in my head. The next day I had a one sentence ending. Just that. Nothing else. I thought I'd be able to forget about it since I didn't have anything else to add. Nope. The story just wouldn't let go. Each morning there was a little bit more. One sentence, a paragraph. Slowly it started to take shape into something coherent enough to finally get it out of my head. So I wrote this thing. It's disjointed, fragmented and might not be any good, but it's mine. It wanted to be told, so here it is. It's still a work in progress so some tweaks might be required. Covers, glorious covers! 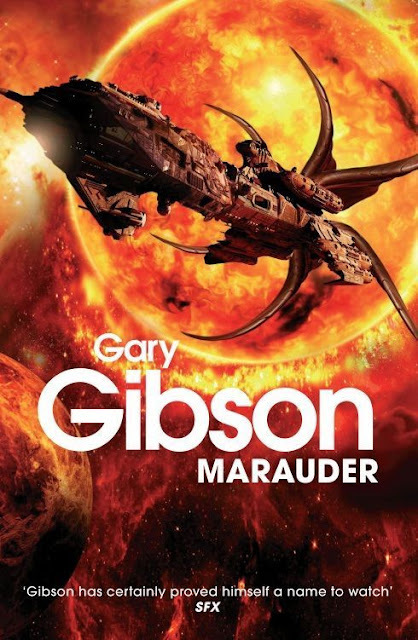 Both Orbit UK and Orbit US have posted covers for their upcoming titles (including re-releases). There goes my book budget. Who needs food anyway? Once I can track down their synopses and publication dates these will definitely be added to my 'Titles to look out for' list. Until then, in the words of Sheldon Cooper - "Yes to all!". Gathered together for the first time from a major publisher are the short stories of Adam Roberts. Unique twisted visions from the edges and the centre of the SF genres. Stories that carry Adam Roberts' trademark elegance of style and restless enquiry of the genre he loves so much. Acclaimed stories, some that have appeared in magazines, some in anthologies, some appearing for the first time. Stories to make you think, to make you laugh, to make you wonder, to make you uneasy. Stories that ask questions, stories that sow mysteries. But always stories that entertain. Short stories are the gateway drugs of fiction, especially when it comes to unfamiliar authors. They allow you to safely dip your toe in without having to commit to a full length novel which might, or might not work for you. I’ve been meaning to explore the work of Adam Roberts for ages now, but never quite got round to it until the beautiful vintage-looking copy of Adam Robots landed in the post. Adam Robots by Adam Roberts contains 24 short stories spanning the entire scope of the science fiction genre. Time-travel, alternate realities, robots, artificial intelligence, first contact – Adam Robots has it all. Roberts manages to put his own unique spin on each and every story and you never quite know what to expect. Like any collection there were some stories that appealed to me more than others, but that’s not to say that the rest aren’t enjoyable. They are, and there are quite a few I can see myself re-reading countless times to delve deeper into the multitude of layers and themes that aren’t immediately apparent. I can go on at length about each story, but that might end up devolving into an incoherent ramble that can hardly do them justice, instead I’ll focus on just a couple that really stood out. Adam Robots, from which the collection gets its title, uses robots to explore the concept of free will and the consequences of obedience turning the biblical Adam and Eve story completely on its head. Shall I Tell You the Problem With Time Travel gave me a sense of déjà vu until I realised that I had previously heard it in a StarShipSofa podcast. It’s a story about time travel, but it’s also a bit of time travel in itself. Tough to explain, but a completely engrossing read that goes to show that history might not be all that it seems. A Prison Term of a Thousand Years: What terrible crime could justify such a harsh sentence? 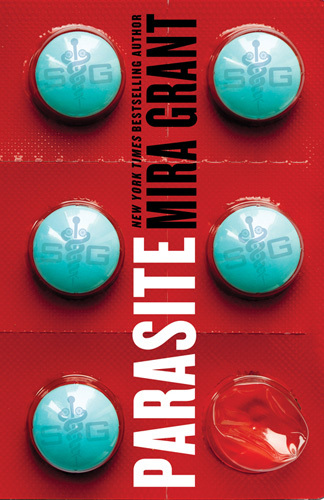 The story explores the impact of longevity on society and does so with beautiful and haunting prose. The Mary Anna: Written completely in rhyme this shares a father’s lament over the disappointment his son has become. The World of the Wars: A retelling of The War of The Worlds from the perspective of the Martians with a surprising twist at the end. The Cow: A well-known nursery rhyme gets a science fiction makeover. Constellations: An entire society toils away trying to perfect God’s work by remaking the world according to His perfect design, but everything they know is based on a lie. Anticopernicus: This was by far my favourite story in the collection. First contact gets an entirely new meaning with humanity being artfully returned to the special pedestal it once believed it occupied before Copernicus shattered that illusion. 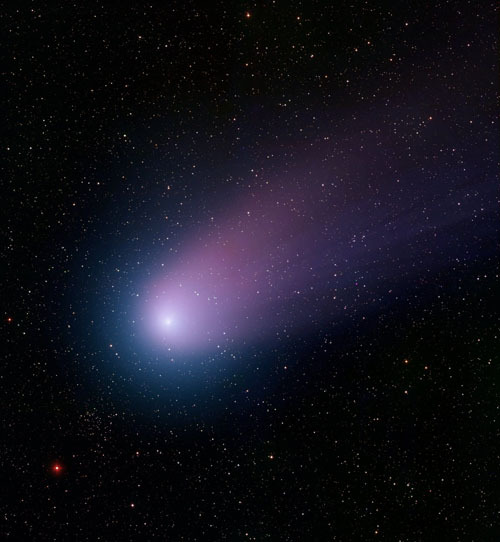 The story offers a brilliant and disconcerting solution to the Fermi paradox (if there is intelligent life out there why haven’t they contacted us?). 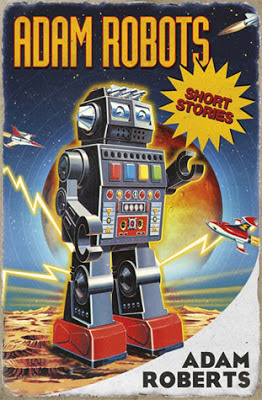 Adam Robots by Adam Roberts is a stunning collection of short stories that explores the sense of wonder, introspection and possibility the science fiction genre has to offer. Adam Roberts is at the top of his game and his talent shines through like a beacon in the night. 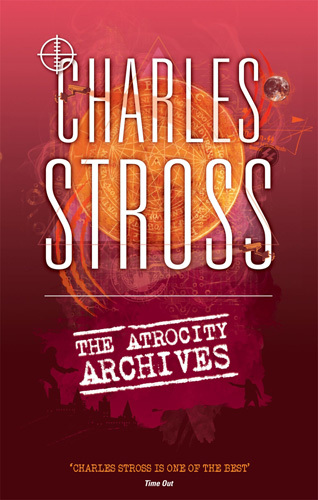 This collection is a definite must for any science fiction fan or anyone remotely interested in the genre. Highly recommended! 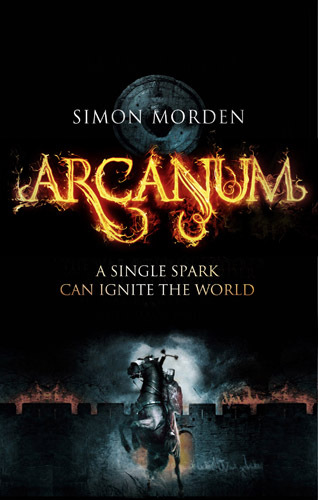 Thanks to Jonathan Weir from Gollancz for providing the review copy. If you use Twitter this news will be nothing new, but for those of you who still think tweeting is for the birds you've missed out on the news that the next Discworld novel has a title - Raising Steam! (FX Drum Roll) The next Discworld novel will be... RAISING STEAM. 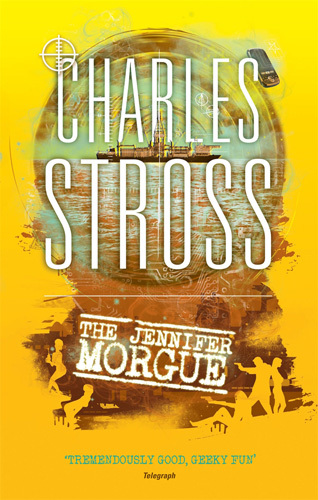 The novel is still a work in progress and no publication date has been announced yet. Will the Discworld be entering the era of steampunk or is that distant rumbling the sound of an approaching train? I guess we'll all have to wait and see.